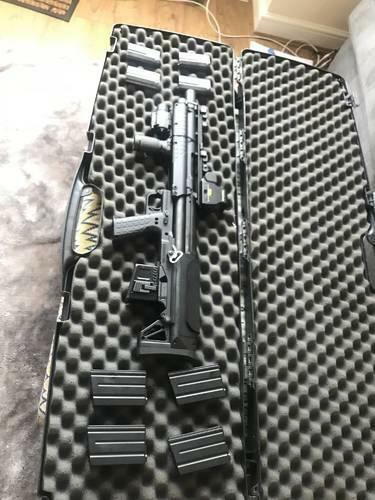 Tokyo Marui KSG for sale or trade. Ksg has upgradeed attachments such as... eotech sight, forgrip with torch/red dot and a DTD m4 converter. This is also comes with x4 gas blocks and x4 m4 mags. In very good condition as hardly used. Willing to to trade so any offers please let me know.. would love a Tm 416 or LV0A please drop me a message.